Well hello there! How are you this fine evening? How was your commute home for those of you that have one? Mine was…lovely…actually. I usually don’t say that, but tonight is a new night. My evening commute has recently gotten more and more tough on me. The morning drive from Silver Spring, Maryland down around the beltway, West on route 66 and up along Chain Bridge Rd into Fairfax, Virginia in the morning – perfectly fine. A little traffic getting started, but for the most part, I’m used to the 45 minute drive. Door to door it takes up about 1 full hour as I MUST (and this is a genuine ‘must’) stop for my usual morning coffee. Let’s please just pause for a moment for me to say: “I love you, George Mason University’s on-campus Starbucks, I reeeeally love you!” It’s the drive home that gets to me. I know I’m not the only one in D.C. feeling my pain here: I leave the office around 5:05…5:15…around that time, then I begin my reverse route only to find that my darling roads haven’t lost their popularity. Everyone has joined in the classic D.C. rush hour shuffle. For a while, I just tried to not let the full hour and a half (sometimes 2 hours) get to me. That didn’t last as long as I would’ve liked. It’s just frustrating sometimes, knowing that I have to sit through this every day, Monday through Friday. I just want to be HOME! Shortly after Sean and I got engaged (wwweeeee!!! 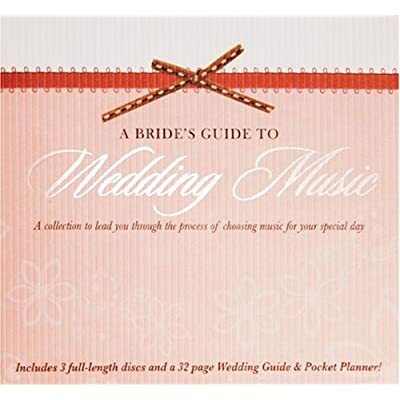 The excitement to say that will never ever dwindle), my Dad sent me a gift: “A Bride’s Guide To Wedding Music” as he’s a Presbyterian Minister, and has run more than the fair share of weddings in his life time. He LOVES classical music, and knows a thing or two about the classics when it comes to wedding music. I’ve listened to these CD’s before, but never in the car. For some reason, this morning as I settled into my car to leave for work, I decided to run back in to the house to retrieve this block of three CD’s. Good call, Katherine….good call. On my way home I popped these bad boys into my CD player, one after the other, and suddenly fell into a feeling of complete and total peace. Pure happiness. As one woman (straight from heaven, I assume), sang Ave Maria with every ounce of love in her voice I noticed that no worries were in my mind. No “what did I forget to do’s” would float through my head…only her song. Numerous songs, an hour and a half, and a much more peaceful Katherine later – I was home. My precious, smiling fiance greeted me with open arms and I was home….and happy. I plan to listen to this much more often. As for the rest of the evening? It gets better! The “newlie” happy post-commute girl that I am decided to cook myself and Sean a delicious dinner. Wanna seeeeee? SOOOOO YUMMY!!! And HEALTHY! 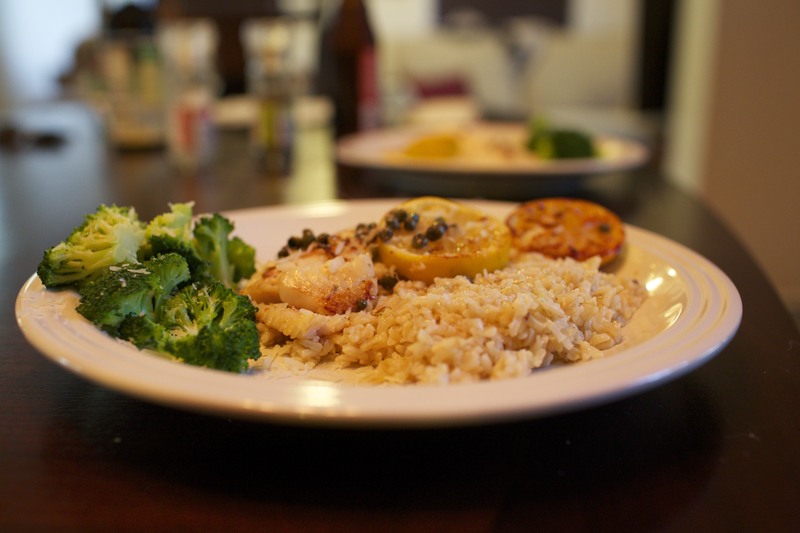 I cooked Tilapia over the stove with fresh lemon juice, a little olive oil, garlic, salt, and capers. For sides I cooked brown rice and steamed broccoli. LOVED it! I recommend that meal for summer-like nights like these, where you’re in the mood to cook, in the mood to be happy, and in the mood to stay classy. Oooooohhh! That looks so yummy Miss Katherine Ashmunn! I am totally in awe of my two beautiful daughters. Love reading your blog each and every time you do one Katherine. You have perfect timing and instincts as a writer. It reads so “true” and captures your special spirit and vision for life. You are one classy lassy! You are one “classy lassy” yourself, Momma!!! Thank you so much for those sweet words. I love you!